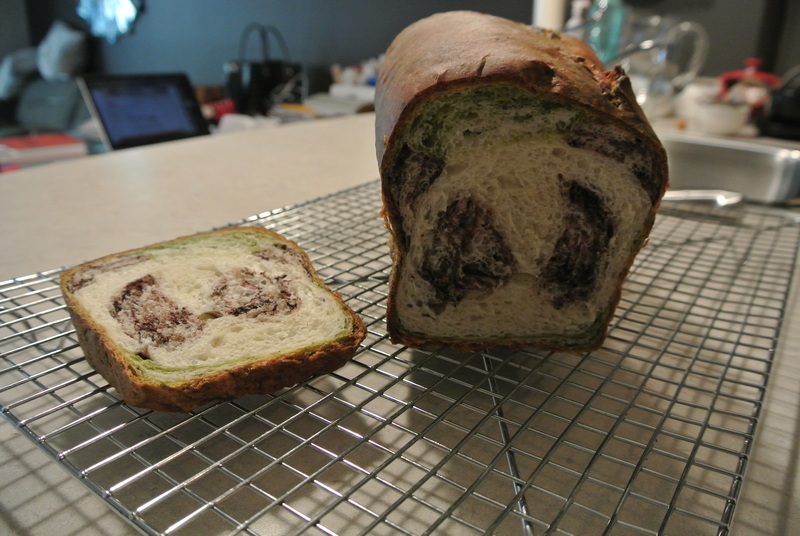 Awhile back, my friend H sent me a Pinterest post that she came across called Panda Bear Bread. 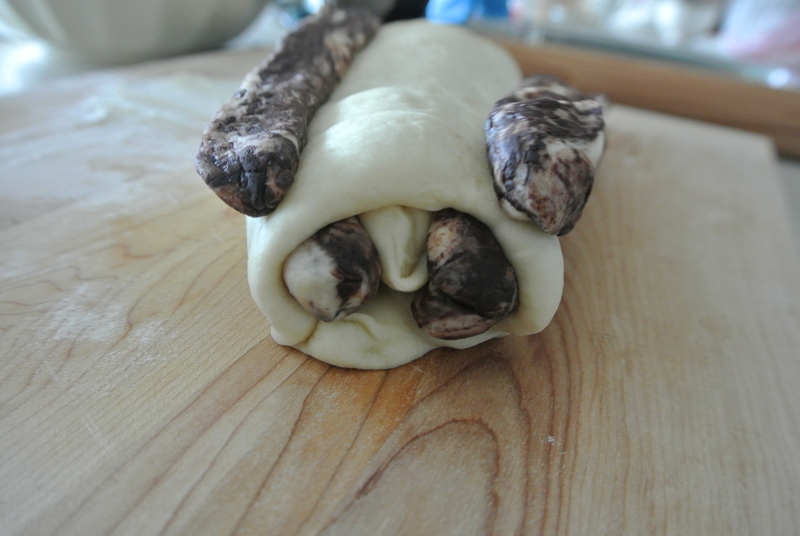 So we decided to take up the challenge of making panda bread a couple of weekends ago. Its definitely not as easy as it looks! If you have a stand up mixer, the dough is pretty simple to mix and knead however, its adding the different flavourings that make this bread tough to perfect. 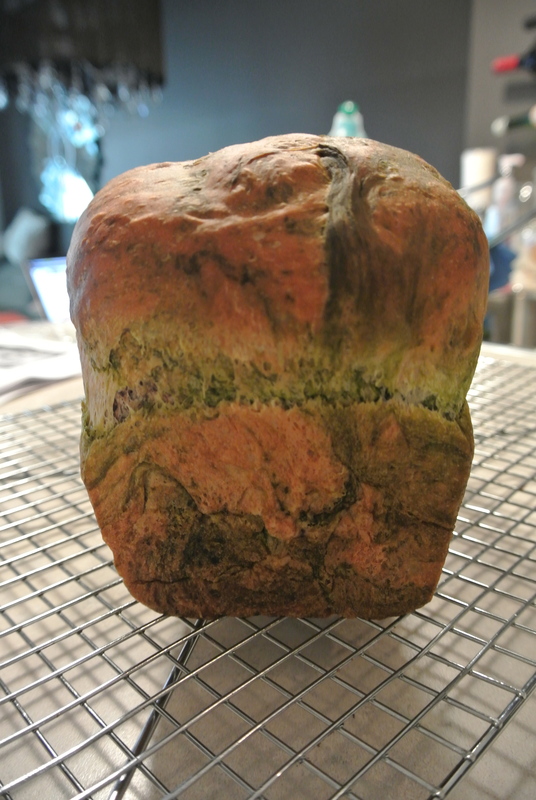 The matcha (green tea powder) and cocoa powders took forever to blend in with the dough. I mixed each with 8g of water each which turned the matcha and cocoa into pastes which I couldn’t thoroughly mix in so it turned out speckled. The other difficult aspect was shaping the dough in its various parts and hope that the parts bake perfectly into the panda face. You really have to trust the dough, wait and hope for the best! Well, here’s how ours turned out! 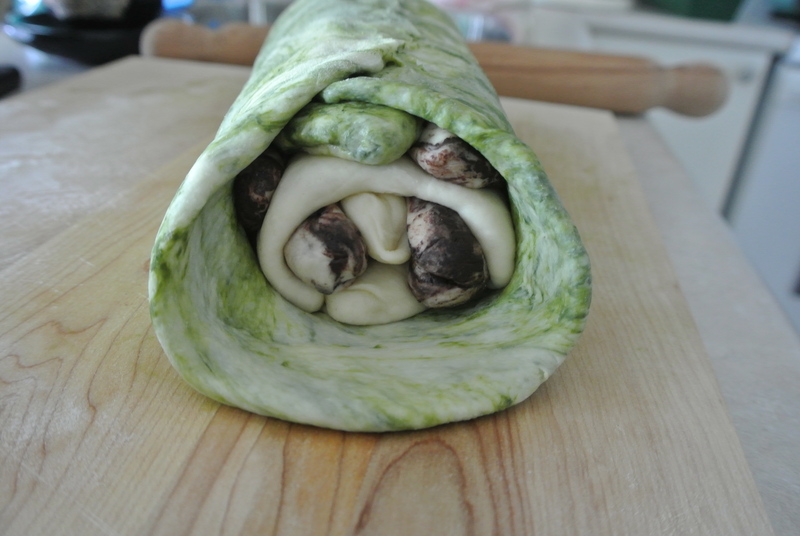 LOL…..it tasted great but as for the panda face well, I’ll be trying it again! 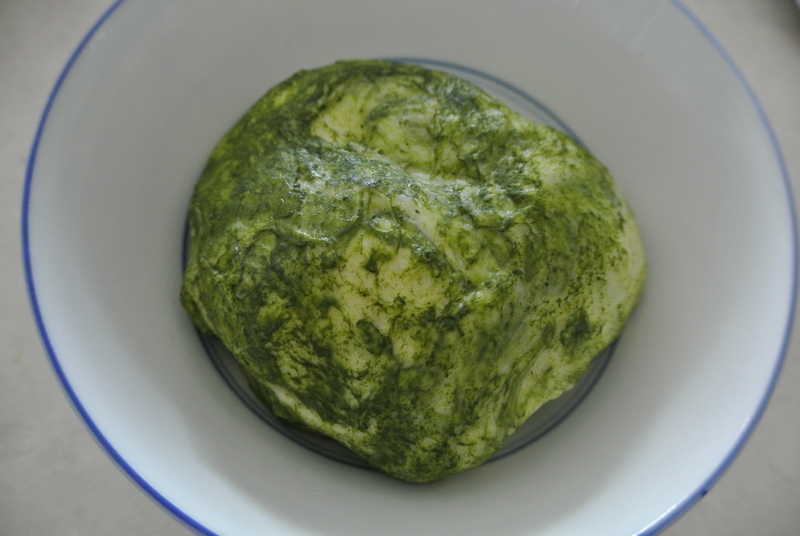 Matcha “green tea” bread dough – ready to rise. 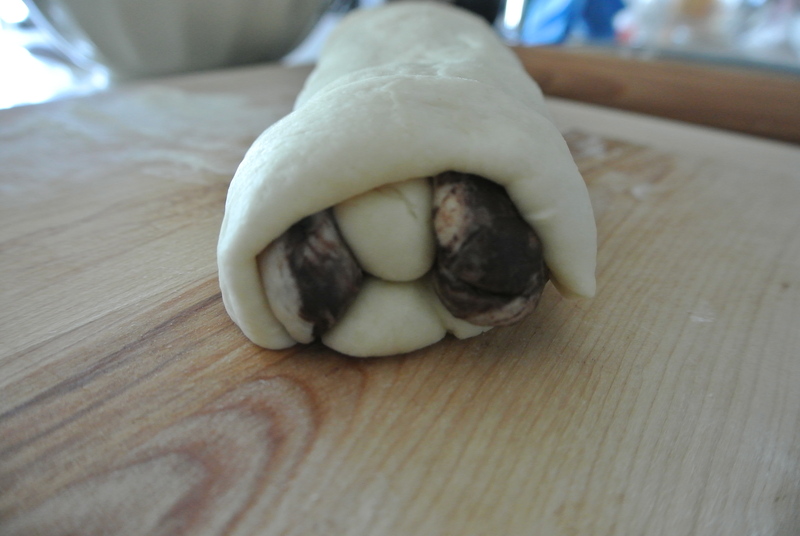 Shaping the panda face with white and cocoa bread dough. Adding the chocolate panda ears. 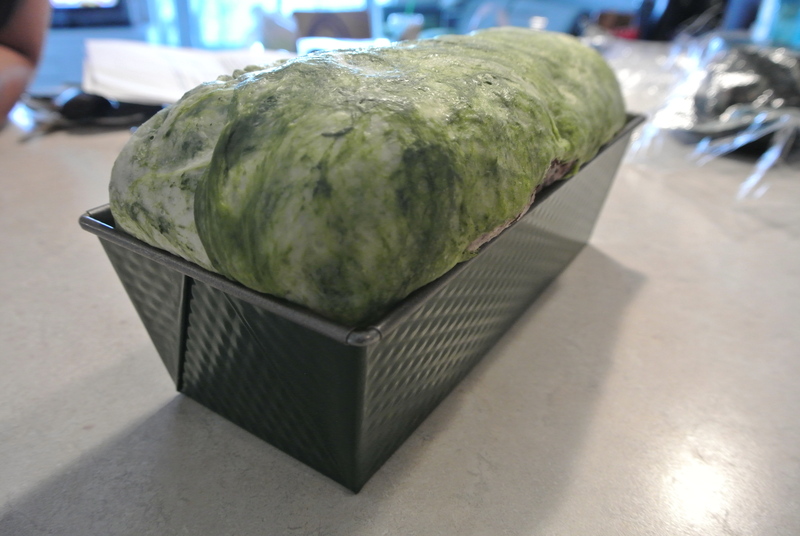 Adding the matcha dough forming the rest of the loaf. I know what you’re thinking – how can this possibly be good! Letting the loaf rise in the loaf pan. Fresh out of the oven, looks good so far!